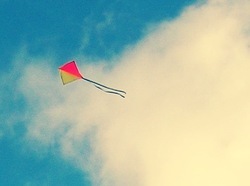 Every kite is different like you and me. Some kites have rips but that doesn't stop people from loving it. 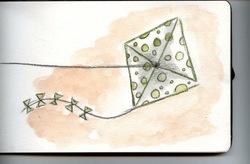 Every kite has a story, their story. It just takes someone to notice it. There is something I love about kites. I think it is the fact that they can go as far as they like but whenever a storm comes someone is always there to pull them back in.